Predicts likelihood of asthma exacerbation within 6 months. The Risk Score for Asthma Exacerbation (RSE) suggests which patients will experience an asthma exacerbation within 6 months. The RSE should be further studied - while its validation was large, it was not validated outside of its own derivation cohort. It was developed from pharmaceutical trials of patients with poorly controlled asthma, so it may not be applicable to patients with milder asthma severity. A score to help determine likelihood of exacerbation may assist in guiding therapy and/or monitoring. The RSE has been developed from a large cohort and now requires testing through validation studies. For more information on the Global Initiative for Asthma treatment steps, click here. Eric Bateman, MD, is a clinician-scientist at the University of Capetown in South Africa. 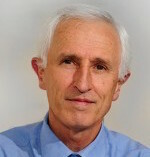 He is the founder of the University of Cape Town Lung Institute and served as its director for 16 years until 2016. He is now a member of several editorial boards for international respiratory journals and has authored more than 300 papers.